Here’s a look at four new releases, all on my format of choice: vinyl. In an era populated by sensitive, navel-gazing neo-alt-folk-Americana acts, it’s refreshing to stumble upon a new release from a band that rocks like in the Old Days™. The Lower Side of Uptown has all the swagger and insouciance of 1970s albums from Led Zeppelin, Aerosmith or Think Lizzy; it has all the punch and grit of (slightly) more recent releases form acts like Soundgarden, Nirvana and Black Motorcycle Rebel Club. Simply put, it rocks. “When I Die” opens the album with a stomping riff and wild, unleashed vocals. And things don’t let up from there: “Take Me Alive” kicks off with another barbed-wire riff and a vocal whoop, followed by some hypnotically insistent drumming, and the tune show how much mileage can be extracted from a single chord. “Polly Jean” is built around a taut bass riff. 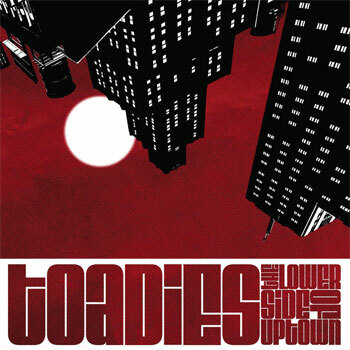 And so it goes; on these twelve tracks, the Toadies demonstrate that the universe of primordial riffs has yet to be exhausted. Save for a brief and appealing acoustic detour (the opening moments of “Mama Take Me Home”), The Lower Side of Uptown is unrelentingly rocking. Long live rock, indeed. First, a quick bit of history: Tim Lee used to be in the Windbreakers. In recent years he led a band with his partner Susan Bauer Lee, called TimLee3. This new outfit is just the two of ’em. And if you’re one of those who looks askance at a guitar-and-drums group (a configuration that was done best by Flat Duo Jets and then worn out by endless other duos – I’m lookin’ at you, pasty-faced Jack White), I’d encourage you to set your preconceptions aside and give a listen. 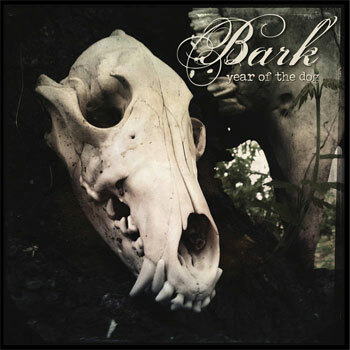 Year of the Dog is a fine release that gives equal time to Susan’s vocals as it does to Tim’s. And since both musicians play multiple instruments – the rare Fender VI is used extensively, for example – there’s more texture than you might expect from a two-person lineup. The spirit of 1980s indie rock (we sometimes called it “college rock” back then) is very much alive in Bark, but this 11-track LP is in no way backward-looking. There’s a bluesy vibe here and there (most overtly on “Interstate Blues”), and in places Tim and Susan sound a bit like fellow southerners (and kindred spirits) The dB’s. The record’s vibe is very much live-in-the-studio, and the songs benefit from the immediacy that comes from that approach. I for one was disappointed when I learned that TimLee3 was ending, but once I heard Year of the Dog, all disappointment dissipated. The album’s available for streaming and download from Bandcamp, but take my advice and hear it on vinyl as was intended. Pylon was an important – if unjustly overlooked – part of the Athens, Georgia music scene in the 1980s. Everybody knows R.E.M. and the B-52’s, but Pylon made some unique and memorable music in those days as well. With the death of one of the key members, a proper reunion wasn’t possible, but lead singer and prime mover Vanessa Briscoe Hay has gathered together a lineup of like-minded musicians to pay a kind of tribute to her old group. This session was originally recorded for one-time broadcast, but the results were so superb that a proper release was arranged. It’s a mere six songs, but the edgy and aggressive (yet reliably funky and tuneful) vibe of the original Pylon is effectively conjured. The live nature of the set means that that the actual essence of the current band is captured. There are the occasional nods to the ’80s sound – specifically the guitar tones that open and populate “K” – but in this context they’re quite welcome. Whether or not any new music is in Pylon Reenactment Society’s future remains to be seen – technically it’s not part of the group’s brief – but one can hope. If this taut set of tunes is any indication, such a release would be greeted with anticipation. The clear vinyl on this 45rpm 12” disc is a nice touch, too. When I saw that Ray’s music is classified as country, I was skeptical I’d find much to like. 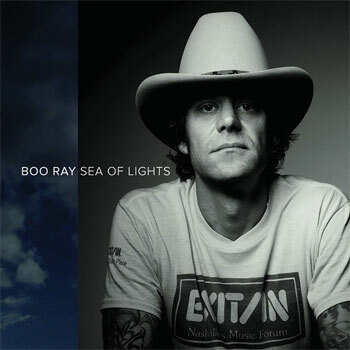 But the title of Sea of Lights‘ opening track, “Redneck Rock n Roll” gave me a glimmer of hope, and piqued my curiosity. And as the lyrics explain, Ray does in fact straddle the two related forms. It rocks hard in a belligerent (and it must be said, kinda redneck) way. The rest of the record continues to serve up a country-rock that draws from the best of both styles (as opposed to, say Eagles, who instead built upon the lesser virtues of the respective genres). Ray’s southern vocal mannerisms feel genuine, placing him closer on the musical landscape to the great Jimbo Mathus and far away from the all-hat-no-cattle acts one’s likely to find on any given awards program. Lots of slide guitar enlivens what’s already a fine record, and Ray’s virtues as a lyricist are on rich display throughout. Only as assured a composer as Ray would title a song “A Melody, Some Guitars & a Rhyme.” That tune itself is very much in the classic country mold, with loads of weepy pedal steel and a familiar chord progression. But even when he sings of whiskey and livestock, Ray somehow sounds fresh and new. Recommended.